Understanding all the bits and bytes that make up the blockchain may require a Ph.D., but it really doesn’t have to be so complicated. A blockchain is an electronic distributed ledger or list of entries – much like a stock ledger – that is maintained by various participants using a network of computers. 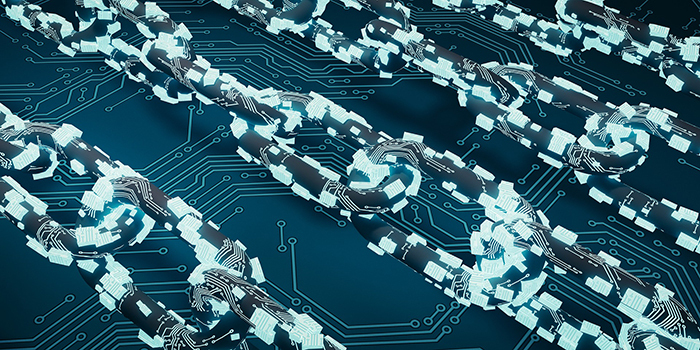 Blockchains use cryptography to process and verify transactions on the ledger, using encryption and coding to improve transparency, efficiency, and trust in information sharing. The global blockchain technology market size is expected to reach USD 7.59 billion by 2024, according to a new report by Grand View Research, Inc., registering a 37.2% CAGR during the forecast period, with increased demand driven by financial services, consumer or industrial products, technology, media and telecom, healthcare, transportation, and public sectors. Some of the most popular examples of blockchain are Bitcoin and Ethereum. However, the future of blockchain will go far beyond Bitcoin. Yet, the buzz over blockchain has hit a bit of a brick wall. Several systemic challenges that have limited blockchain development to date, including the issues of: (1) slow transaction speed; (2) programming barriers that limit access to highly skilled coders; (3) lack of security; and (4) inflexibility. The next iteration of blockchain technology, dubbed Blockchain 3.0, will work to address these issues and will impact every major area of business, from medical diagnosis, finance and credit, gaming, video analytics, digital asset tracking, transportation, image recognition, neuroscience, and decentralized exchange. We see the Blockchain 3.0 revolution happening right now. What might be surprising is that China, unfairly maligned as a copycat of other companies’ technological innovations, is vying to be the global leader in blockchain technology and competing effectively with the West. China filed the most blockchain patents with the World Intellectual Property Organization (WIPO) in 2017, according to Thomson Reuter’s statistics. Alibaba, one of the world’s leading e-commerce companies reportedly owns 49 of these patents, which is more than any other company in the world. In 2015, China’s State Council unveiled a ten-year national plan, Made in China 2025, designed to transform China from a manufacturing giant into a world manufacturing power by focusing on improving manufacturing innovation, integrating technology and industry, strengthening the industrial base, fostering Chinese brands, enforcing green manufacturing, promoting breakthroughs in key sectors, advancing restructuring of the manufacturing sector, promoting service-oriented manufacturing and manufacturing-related service industries, and internationalizing manufacturing. Advances in blockchain technology and artificial intelligence (AI) will help drive these innovations and help China not only catch up to the advanced, data-driven manufacturing capabilities of the West, and in at least several notable areas, surpass it. 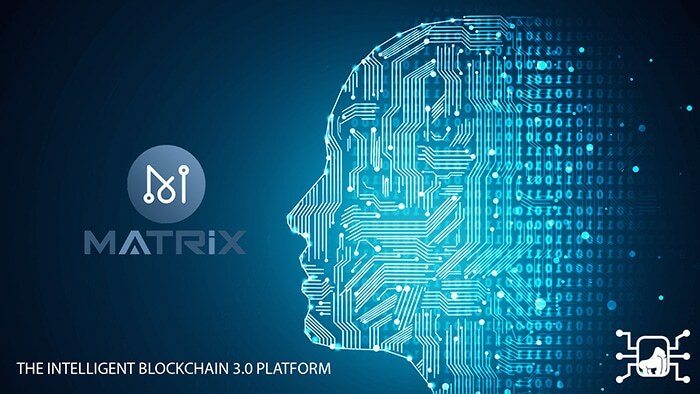 MATRIX AI Network is a global open-source, public, intelligent blockchain-based distributed computing platform and operating system that combines artificial intelligence (AI) and blockchain. Based in Hong Kong, and boasting some of China’s top tech talent, MATRIX AI Network was created to make blockchains faster, more flexible, more secure, and more intelligent. Since low transaction speed negatively impacts the user experience and impedes mainstream blockchain technology adoption, the MATRIX AI Network team created a dynamic delegation network using a distributed clustering algorithm to exchange transaction information and perform Proof of Work (PoW) computations resulting in throughput speeds exceeding 50,000 transactions per second (TPS) in recent tests – many times faster than Bitcoin, Ethereum and EOS and challenging even the transaction computing power of PayPal and Visa. To improve accessibility and increase adoption of blockchain technology to a wider audience, MATRIX AI Network is designing proprietary Intelligent Contracts that leverage natural language programming and adaptive deep learning-based templates to auto-code. The user simply types in the fields he or she wants to include in the smart contract (currently English and Chinese are supported) and the Intelligent Contract does all the coding. MATRIX AI Network’s Intelligent Contract prototype currently supports One-Click Token Launch, One-Click ICO, Voting, Insurance, and Auctions. Other functions relating to ownership and management rights, account freeze-and-suspend functions and more are also currently supported. To improve security, MATRIX AI Network added a rule-based semantic and syntactic analysis engine for smart contracts; a formal verification toolkit to prove the security properties of smart contracts; an AI-based detection engine for transaction model identification and security checking; and a deep learning-based platform for dynamic security verification and enhancement. For added flexibility, MATRIX AI Network addresses the problem of the hard-fork, which can split the coin or token community and devalues the digital asset. Although it is destined to happen in most blockchain projects, MATRIX AI Network can dynamically adjust its parameters as needed to adapt to the needs of the market. The AI-coordinated multi-chain scheme can meet different, and sometimes conflicting market needs simultaneously. An evolutionary proactive optimization engine is embedded in the bottom protocol layer of the MATRIX AI Network so that blockchain parameters are dynamically updated according to external conditions. In addition to maintaining the efficiency and applicability, the dynamic optimization scheme prevents the risk of a hard fork in each software release and parameter update, providing unparalleled flexibility. By refocusing China’s tremendous surplus of technology talent and growing wealth toward solving the biggest issues facing blockchain, China is poised to lead, rather than follow. China boasts a formidable mix of engaged private enterprise, a committed central government, inspired local governments, and involved academia – together this potent mix will be the central catalyst for Blockchain 3.0.